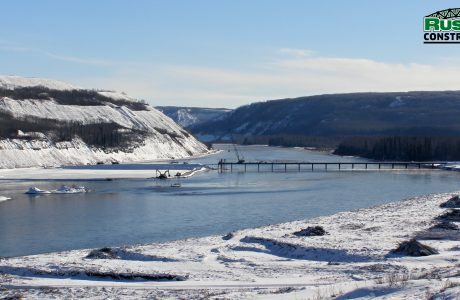 Our construction management team has extensive Design-Build experience, ranging from road and bridge contracts for large highways and infrastructure projects to complicated foundations contracts for Fort McMurray Oil Sands projects. 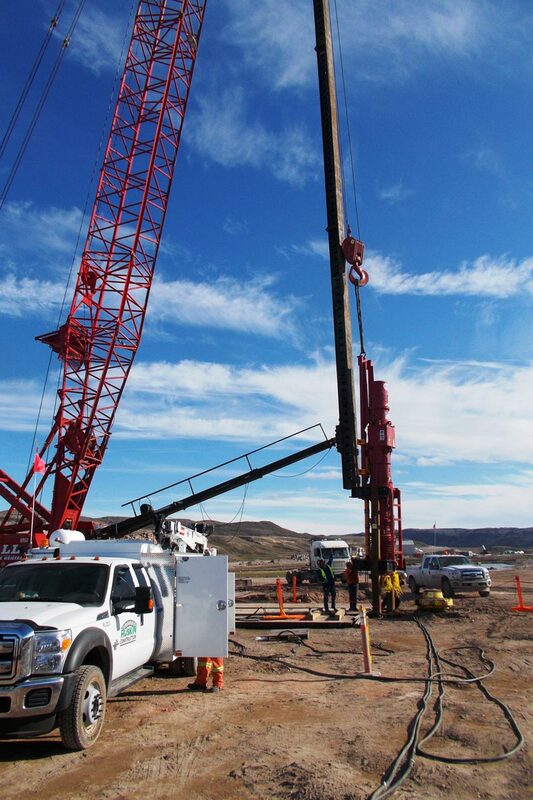 These successful experiences have proven that the construction management teams and systems that Ruskin has in place are efficient and work effectively. By carefully managing information, people, equipment and materials, and working closely with the design engineers and quality management team, our qualified Construction Management Team ensures that the project is successfully produced on schedule and on budget. 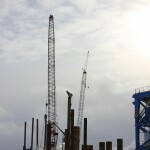 Ruskin has recently been involved, at different levels, in several Design-Build projects in British Columbia, Alberta, Northwest Territories and Yukon. 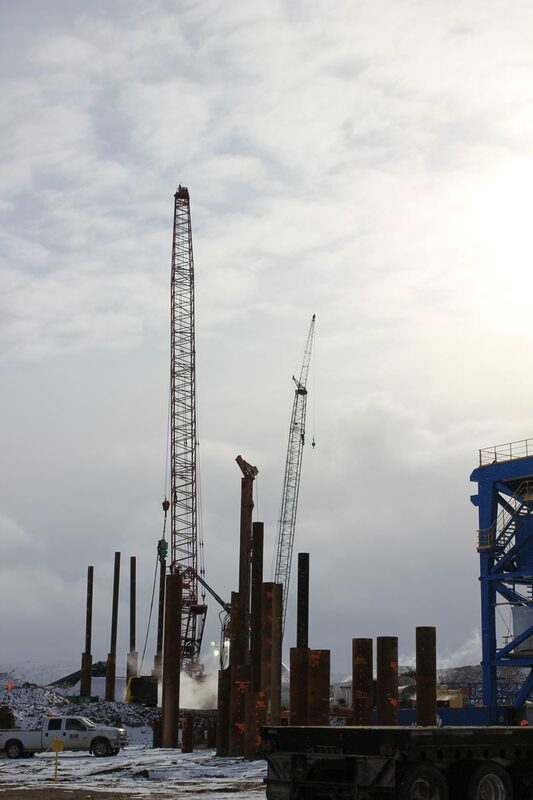 Baffinland Irons Mines Corporation awarded Ruskin Construction the design-build contract to construct an iron ore loading dock for the Mary River Project on the Northern end of Baffin Island. 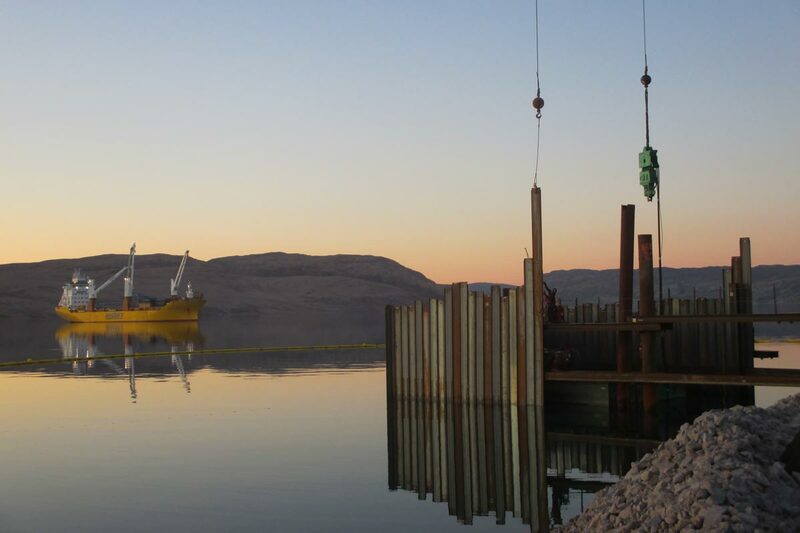 Working in conjunction with our design engineers, PND Engineers Canada, Inc., Ruskin took on this ambitious project in Canada’s Arctic working in average winter temperatures of below -30° Celsius, and in 24-hour darkness from November to January. 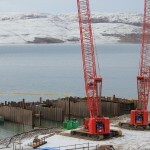 Due to the location, this project required extensive logistical planning to ensure all equipment and materials were shipped in the short ice-free season (July – September). 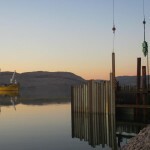 Our scope included the design, assembly and construction of OPEN CELL® marine structures for the ore dock, mooring facilities, shiploader and material handling conveyor system foundations, as well as the installation of appurtenances at Milne Inlet capable of supporting ship loading equipment sized to load ocean-going ore carriers ranging in size from Supramax to Post Panamax vessels. 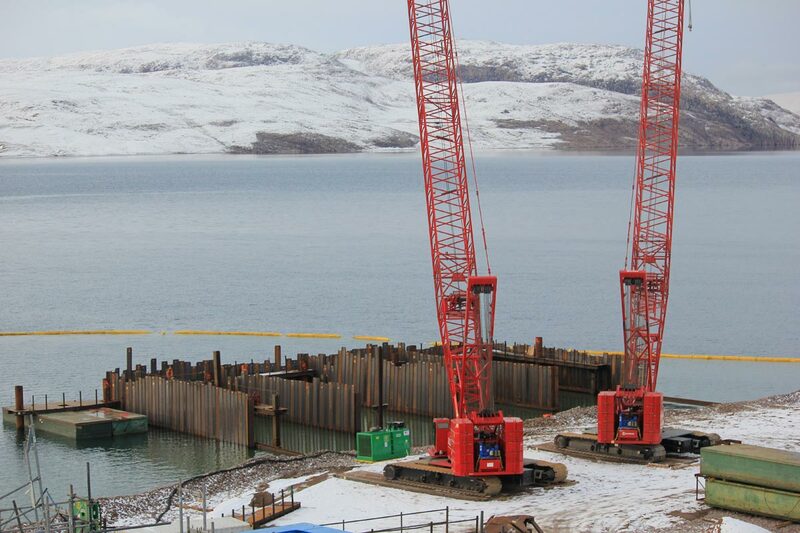 Ruskin’s scope of work included design-build of a 10.2 meter wide by 329 meter long, pile supported, non-composite resource bridge to support the Site C dam project for BC Hydro. Bridge was designed by Allnorth Consultants and constructed in 120 production days; both day and night shift, working a seven / ten schedule. 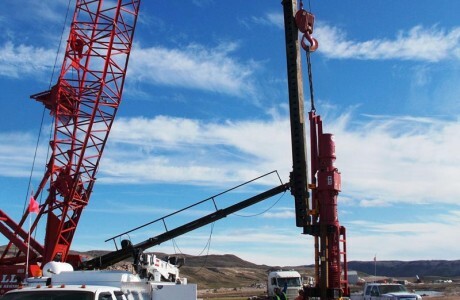 It was completed with zero lost time incidents or injures, with a total of 27,680 Man-hour’s. 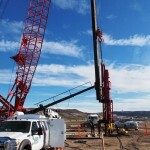 Project was completed two weeks ahead of schedule, on budget, and with no lost time incidents or injures.